and everyone has the power to help others. Your logo — and more! Your new website will allow you to engage the world in no time! With our hosting, your only expense would be your domain (which you can register with us or a company like SiteGround or HostGator), and other safety products we offer. If you have a website and host already, we’ll even transfer the site for free (cPanel transfers only). Our hosting is state-of-the-art and we use top-notch practices for minimizing energy usage which makes our hosting more enviro-friendly than other hosts. If you need webmaster services, our Help Desk Services are available to help with just about any of your online needs. We also offer discounted rates to non-profit’s, so ask us about our pricing. Tightening your belt? No worries, we’re tightening our belts with you. 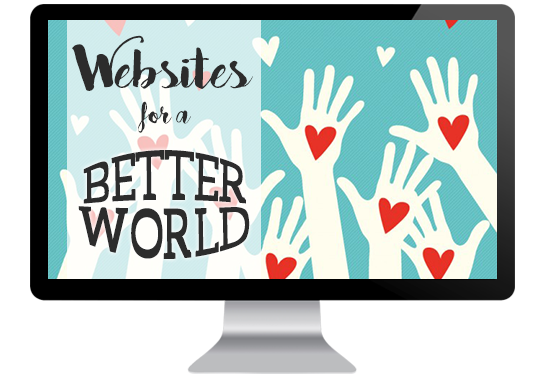 A good website is a great start for your non-profit organization. You provide us with the content, we’ll put it together for you. We use WordPress so you can edit your own content after that, fee-free. Create new pages, edit events, post articles on your blog — the power is in your hands! Contact us to find out how we can help, or click the button to get started.